Thank you for joining 1200 others in signing a petition to Alexander & Baldwin last year, asking for at least 15% of the former cane lands to be made available for regenerative agriculture, conservation and a sustainable community with affordable housing! The desire to see the land used to address Maui’s great needs for food security, renewable energy, housing for our residents and preservation of beloved natural and cultural sites is shared with many more, and was well received also by many of our local politicians. It was clear to many of us from the start that A&B would not benefit financially from an arrangement with a multitude of farming leases, and that it was not in line with the company’s conversion to a Real Estate Investment Trust. The company has now completed a sale of a substantial amount of its property on Maui to Mahi Pono, a subsidiary of a California Venture Company with backing from a large Canadian pension fund. 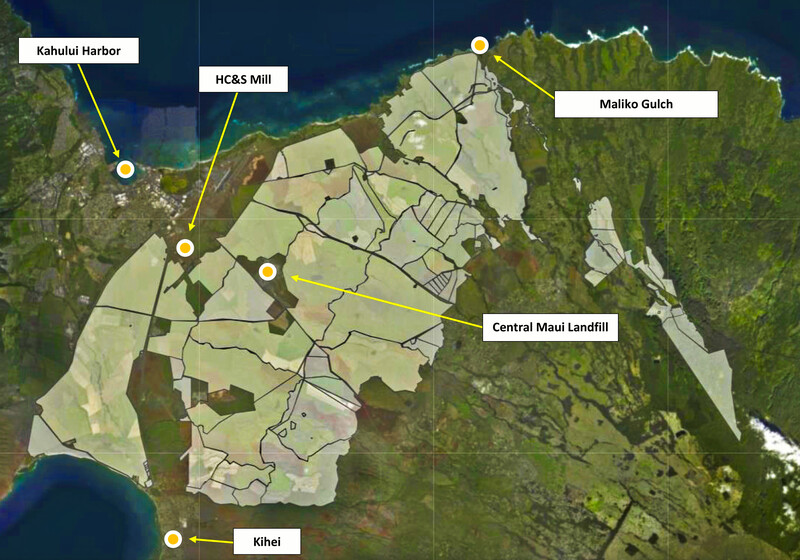 Over 40,000 acres of mostly agricultural land have been acquired by Mahi Pono, along with over 15,000 acres of East Maui watershed land. It also now has a 50% ownership of the East Maui Irrigation company (EMI), with the intent of acquiring the remaining 50% in the future. Mahi Pono currently has no plans for land use other than farming, potentially with housing for farmers and farm labor. A&B has retained all land it considers “developable”. 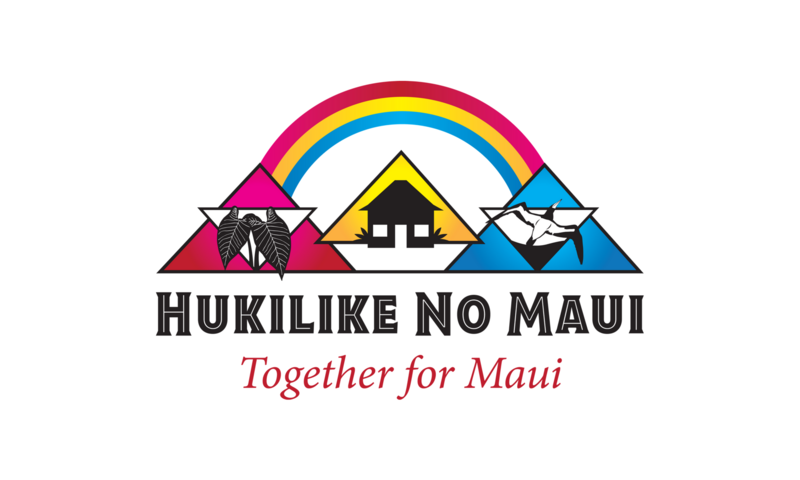 How does this change the goals of the Hukilike No Maui – Together for Maui – coalition? We think our goals remain the same. Some will be easier to attain, others will require a somewhat different strategy than when A&B was the sole owner of the lands. The core of the Hukilike coalition premise is that if the affordable housing movement, the regenerative farming movement and environmentalists work together, we can promote the best possible solutions for all. Senior VP of Operations Shan Tsutsui of Mahi Pono has assured us that any areas designated “open space”, “park”, or “conservation” in the community plans will be preserved. Unfortunately, A&B has retained ownership of several of the sensitive areas requested by Hukilike to be put into conservation easements. At this point, Mahi Pono is open to many types of leasing and management of land for farming, including additional agricultural parks, with at least one dedicated to organic farming. They recognize the obstacles to agricultural expansion posed by earlier requirements on prospective farmers to lease very large tracts of land with very short leases. We have asked Mahi Pono to create a permanent framework for community participation in deciding the future uses of the vast lands that are so vital to the well-being of Maui’s people. Concerning a sustainable community in Puunene (which is mostly acquired by Mahi Pono), we have asked the new owner to consider making the fertile, water-abundant land in Haliʻimaile agricultural (currently mostly not Important Agricultural Lands) while allowing the Puunene land – so close to jobs and schools and shopping in Kahului – to be used for community development. We will need to continue to pressure A&B to conserve sensitive natural and cultural areas such as the Waiale Reservoir, the Waiale Sand Dunes, and Baldwin Beach Park. It will also be necessary to talk to Maui Land & Pineapple and other major land owners to push them towards a collaborative, community-oriented approach to land use, one that offers the owners return on investment while also addressing Maui’s needs for affordable housing, regenerative agriculture and conservation of cultural, natural and recreational areas. Please join us in working towards a future Maui that is resilient, sustainable and provides for its people’s needs!